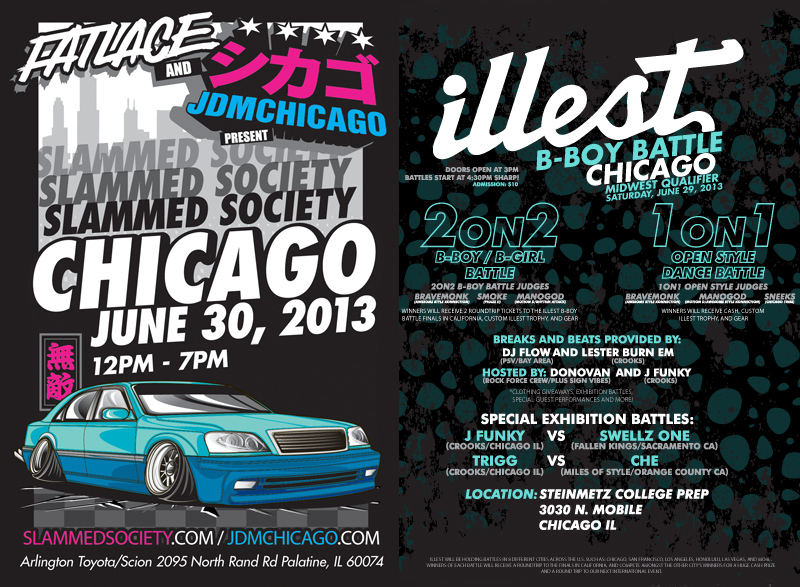 Slammed Society is proud to have the first Chicago event this weekend at June 30th at 12PM. Held at Arlington Toyota/Scion, we’ll have the finest slammed rides the Chi-town area has to offer as well as a Illest B-Boy Battle with special exhibition battles between our winners from previous B-Boy Battles in California and renown b-boys from Chicago. Car show opens to the public at 12PM and the B-Boy opens at 3PM, B-Boy Battles begin at 4:30PM sharp! 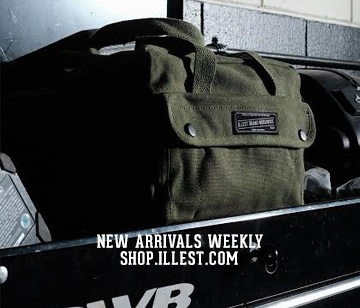 Here’s a recap of our previous Slammed Society show out in Hawaii. Please arrive on time, but not earlier than 9AM. Roads may be closed due to another event. General Admission is $10 online, $12 at the door.